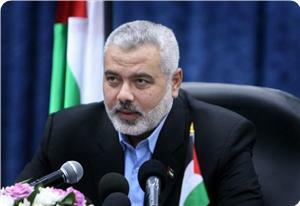 Deputy head of Hamas political bureau, Ismail Haneyya, has welcomed the Palestinian Authority’s decision to hold the first cabinet meeting of the newly formed consensus government in Gaza. Haneyya appealed to the Gaza-based security apparatuses, as he received delegations to exchange congratulations on Eid al-Adha on Monday, to set a favorable stage for the projected meeting. Hamas leader further called for the need to work out all other outstanding reconciliation files, having to do with mechanisms of national partnership, the Palestine Liberation Organization, and the legislative council. 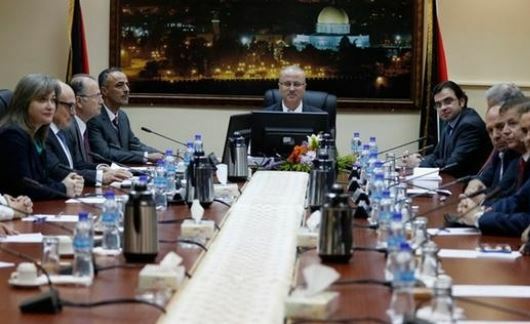 Minister of Justice in the Palestinian unity government, Salim Sakka, had announced earlier that a meeting chaired by PM Rami Hamdallah is set to be held on Thursday in Gaza. The two major Palestinian political factions Hamas and Fatah signed the joint Shati accord on April 23, 2014, ushering in the appointment of a new government of national consensus and the irretrievable healing of the internal rift. Meanwhile, the office of the Ministry of Interior and National Security in Gaza reiterated its commitment to take all necessary measures to make sure the nominated delegation arrives in and tours the Gaza Strip in the very best circumstances possible, spokesman for the ministry, Iyad al-Bazm, said in a brief statement posted on his Facebook page. Undersecretary of the Interior ministry, Kamal Abu Madhi, said he had been officially updated on the visit, and expressed wishes that the long-awaited meeting would turn out well. 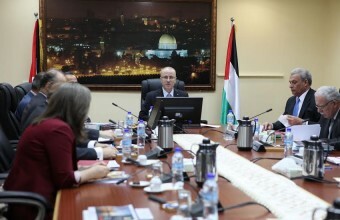 Head of the Palestinian Return Center (PRC) Majed al-Zeer hailed on Monday the British House of Commons' intention to vote on a proposal calling for the recognition of the state of Palestine. The proposal submitted by MP Grahame Morris was one of the achievements made by the Palestinian people’s legendary victory and steadfastness during the Israeli war on Gaza, al-Zeer said. It is a right step in the right direction that would help raising the Palestinian issue at international forums and accelerate the Palestinian national liberation project, he was quoted as saying to Quds Press. He pointed out that the pro-Palestine campaign in Britain and Europe as a whole pressured European decision-makers to take such steps in favor of the Palestinian cause and people. 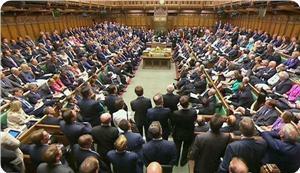 The British parliament’s House of Commons is due to vote on a proposal calling for the recognition of the state of Palestine on October 13. Palestinian Labor Minister of the National Unity Government Ma’moun Abu Shahla stated, on Sunday at night, that Israel decided to allow West Bank Ministers, including Prime Minister Rami Hamdallah to visit Gaza this coming Thursday. He added that Hamdallah and other government minister from the West Bank, have not been allowed into the coastal region since the unity government was formed several months ago. The Palestinian official said the Israeli decision came following pressures practiced on Tel Aviv during the latest UN Security Council meeting in New York, as it previously refused to allow the travel of government officials between Gaza and the West Bank. The ministers will be holding the first ministerial cabinet meeting in Gaza, and would discuss various issues, including the efforts to rebuild Gaza. Abu Shahla said interim government ministers are mainly from the West Bank, and that the session has been repeatedly delayed due to Israeli restrictions. Following their visit to Gaza, the ministers will be heading to Egypt to participate in the Gaza reconstruction conference, before they return to Gaza. 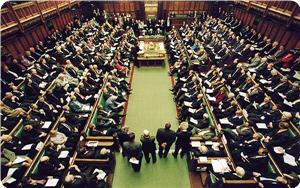 The British parliament’s House of Commons is due to vote on a proposal calling for the recognition of the state of Palestine on October 13. The proposal was presented by MP Grahame Morris, chair of the Labor Friends of Palestine and the Middle East. Members of the lower house of parliament will vote on whether to support the motion in the projected six-hour-long debate. The move came after the center-left government of Sweden indicated that it intends to formally recognize the state of Palestine – making it the first major European country to do so. 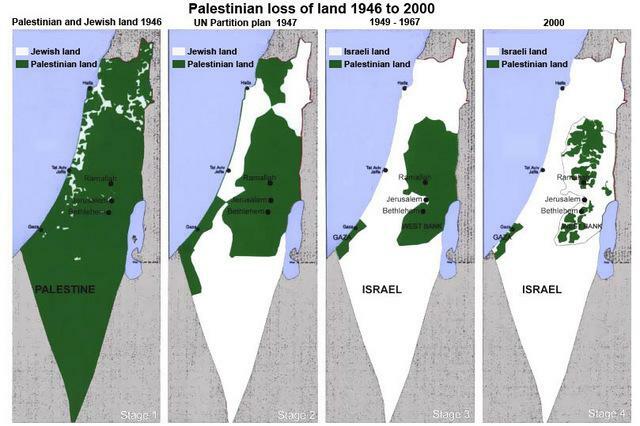 138 nations, inhabited by 80% of the world’s population, had recognized Palestine, including Brazil, South Africa, Chile, Argentina, India, China, Russia, and The Vatican. 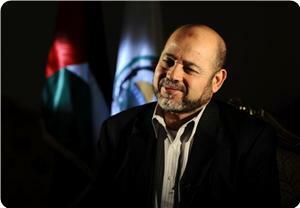 Political bureau member of Hamas Mousa Abu Marzouk on Saturday dubbed the recent statements delivered by Palestinian PM Rami Hamdallah “a step in the right direction.” Abu Marzouk’s acclaims came after Hamdallah announced on Friday that an agreement, guaranteeing the reimbursement of funds for Gaza’s civil servants hired since 2007, was reached with Qatar, in coordination with the UN. The Palestinian Authority (PA) vowed to implement all administrative and legal measures to ensure all employees be treated fairly. 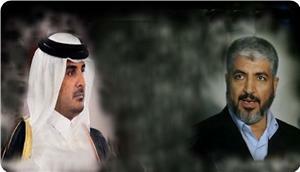 The PA further hailed Qatar and the UN for their commitment to dispatch the cash batch for Gaza’s workers. “If we do not pave such a path on our own, nobody will ever do it for us,” Abu Marzouk said in a statement posted on his Facebook page. “Let us make for ourselves something different from the past,” Hamas leader declared, adding that the Fatah-Hamas rift has been over despite the skepticism and suspicion with which the movements’ bilateral accords have often been misread. The Palestinian Liberation Organization (PLO) welcomed the Swedish recognition of Palestine as a state, in coherence with International Law and all related Unites Nations resolutions. Dr. Hanan Ashrawi, member of the Executive Committee of the PLO, said the Swedish declaration represents a clear commitment to justice and real peace based on the two-state solution. Dr. Ashrawi added that Sweden is a country that respects human rights, all principles of justice, and its decision is an affirmation of the country’s commitment to the Palestinian legitimate rights of liberty, and comprehensive peace. She further stated that trying to link the recognition of Palestine with the outcome of direct talks with Tel Aviv is not different from granting the illegitimate Israeli occupation all the legitimate Palestinian rights. Her statements were referring to the United States, and a few other countries, including Israel, trying to obstruct all Palestinian political moves at the United Nations and the Security Council. On Friday, September 27, Palestinian President Mahmoud Abbas submitted a bid to UN Secretary-General Ban Ki-Moon, meant for a full Israeli withdrawal from the occupied West Bank, the Gaza Strip and occupied East Jerusalem, so that the Palestinians can establish their independent state. 138 countries around the world have recognized Palestine as a state; this includes Brazil, South Africa, Chili, Russian, Vatican, Argentina, India and China. In late November 2012, the UN General Assembly passed an overwhelming majority vote granting Palestine a Non-Member Observer State Status. The United States responded by blocking funds to the Palestinian Authority, and to some UN organizations. 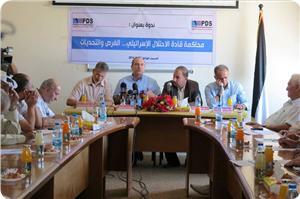 The National Consensus Government released its plan for Gaza's reconstruction and recovery to the public, on Thursday. The $4 billion plan provides a roadmap through the current humanitarian crisis to long-term development, the PNN reports. The plan was developed by the Higher Inter-Ministerial Committee for the Recovery and Reconstruction of Gaza and chaired by Deputy Prime Minister Dr. Mohammad Mustafa. It forms the basis for mobilizing resources and efforts at the international conference to be held in Cairo, on October 12, 2014. The plan is based on the government’s preliminary assessment, which was conducted in Gaza by Palestinian ministries and agencies, and with the support of local and international partners. The assessment uses the situation prior to the assault as a baseline, but contextualizes it within the experience of Israel’s ongoing blockade of Gaza. This plan was developed with the intention to transition from relief efforts to longer-term development needs, the PNN further reports. The government plans to use $414 million to respond to immediate needs of citizens, while allocating $1.2 billion for stimulating an early recovery. The long-term reconstruction phase will reportedly need some $2.4 billion. The also government estimates that an additional $1.9 billion is needed to repair public and private infrastructure. Housing is the most important issue in Gaza at this moment, as a harsh winter is expected to arrive in as little as two weeks. Over 110,000 people are displaced throughout the region, in collective centers or host families, as they wait a dignified resolution to their homelessness. Economic revitalization will require $1.2 billion. As with infrastructure, the government’s plan has immediate and long-term goals. Re-activating economic productivity is essential for restoring livelihoods and enabling local businesses to serve and profit from the recovery and reconstruction process. In the immediate aftermath of this conflict, the government will direct $700 million towards providing wider social safety nets, stronger health and psychosocial services, and greater educational opportunities. Furthermore, the National Consensus Government aims to undertake the long-awaited and much-needed effort of consolidation, ending years of political and geographic division. Operational capacities will be built at the central and local level, with $183 million in strategic support for reintegration. The official National Early Recovery and Reconstruction Plan is available here. Her statements came after Sweden said it would recognize the State of Palestine, and called on all European Union countries to do the same. 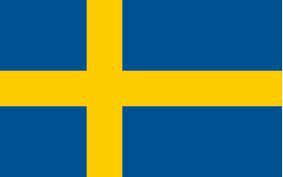 Sweden called for a two-state solution to resolve the Palestinian-Israeli conflict. 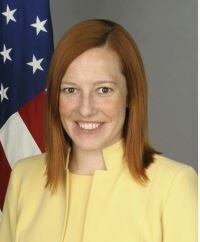 Psaki said that “only negotiations could lead to the establishment of a Palestinian State,” following a comprehensive final status peace agreement signed between Tel Aviv and Ramallah. She added that Secretary of State John Kerry, who revived direct peace talks in July of 2013 and April 2014, was acting on U.S. interest to reach a peaceful solution based on the two-state solution. The US continues to grant Israel billions of dollars each year, in addition to direct military aid and joint army drills, and, despite its “denouncement” of Israel’s growing illegitimate settlement activities, it continues to support Tel Aviv and continues to shield it from any UN Security Council resolution against its ongoing occupation and violations. Members of the Palestinian UN General Assembly in New York received rejection status from the US, Britain and Australia, with regard to the recognition of a Palestinian state based on the borders of 1967. The Palestinian delegation met with 15 state members of the United Nations body and, despite the promises of supporting a Palestinian state by China, Russia and Jordan, the remaining 15 states gave no specific answer, according to the PNN. A Palestinian official said that "our main aim is to get a majority of nine... even if, in the end, the US uses veto, it will put the Palestinian position in a much better place for taking other steps, like approaching the General Assembly and international organizations." All Security Council draft resolutions must have the agreement of all members in order to be adopted. Furthermore, all of the five permanent members of the body — China, France, Russia, the United States and the United Kingdom — can use the power of veto to reject a substantive resolution. The US has been pressuring Palestinian officials to delay their resolution proposal for the United Nations, claiming that the main focus should be on the newly publicized "ISIS terror threat" which might affect the mid-term elections in the US. PNN quotes Palestinian spokesman for the presidency Nabil Abu Rudeineh as saying that a U.S. veto of the resolution in the Security Council would serve neither the Americans nor "the war on terror that the United States is leading – because in such a situation the administration will stand against justice and international law, and most countries in the world that have already recognized a Palestinian state in the 1967 borders. The United States will place itself inopposition to the nations of the world, and especially the Arab countries that are cooperating with it in the war on terror." Abu Rudeinah asserts that the Palestinian position is supported by all of the Arab states and has the understanding of most countries. With note to Europe's position, Abu Rudeinah stated that all the European countries who voted for Palestine two years ago would support it this year as well, in addition to other countries. The resolution would be proposed after final consultations with Arab countries and member states, would be presented to them all, including the US. It isn't clear when and if the Palestinian resolution might actually be submitted, and it is doubtful that it would be submitted at all unless majority support has been assured. More than 70 percent of the migrants rescued recently off Cyprus shores were Palestinian refugees in Syria, the Palestinian Ministry of Foreign Affairs said. The Cypriot coast guard intervened and contributed to the rescue of more than 345 migrants, including 52 children, 93 women, and 200 men, who were on board a fishing trawler after it went adrift because of the bad weather. Preliminary updates released by the embassy of Palestine in Cyprus said that 70 percent of the rescued migrants were Palestinian refugees in Syria. 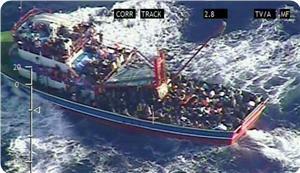 The rest are believed to be Syrian asylum seekers. No human losses have been reported by the Cyprus authorities who declined to comment further on the nationalities, numbers, and health conditions of the migrants until finishing all medical and legal procedures. According to the statement, the boat might have set sail from a Syrian or Turkish seaport en route to Sicily to flee the war-torn Syrian territories. The vessel hit rough seas some 5O nautical miles west of Cyprus after the skipper and his crew fled onboard an emergency vessel. A nearby Cypriot cruise ship changed its course and picked up the migrants after the coast guard has received distress signals from the trawler and directed the cruise ship to rescue the passengers . The embassy of Palestine in Cyprus hailed the Cyprian authorities for its efforts to save the refugees. 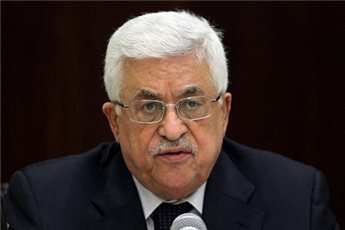 Palestinian President Mahmoud Abbas will reportedly wage a "political war" on Israel, if there is a negative response to Palestinian attempts to end the occupation via the UN, according to Fateh leader Nabil Shaath. "This is the last chance for the world to accept the resolution that is currently being prepared for at the Security Council," Shaath told Ma'an News Agency. President Abbas recently stated that he will submit a resolution to the UN Security Council with the aim of ending the Israeli occupation of the West Bank within three years. And, if the US vetoes the resolution as expected, he will move in favor of "the war of international boycott of Israel" and hold it accountable at the International Criminal Court, Shaath said. A top Qatari official said that his country has strong political ties with the Hamas Movement and can never ask its leadership, under any circumstances, to leave Doha. The official, who works at the foreign ministry, stated in press remarks to the Lebanese newspaper Al-Akhbar on condition of anonymity that the relations between his country and Hamas are not new and date back to 1999, particularly after its departure from Jordan. "My country's support for Hamas stems from a political and moral conviction and it is not a reaction against any political position, especially since Hamas is a national liberation movement," the official underlined. He also affirmed that there is a mutual understanding of the political developments in the Palestinian arena and the region between Qatar and Hamas. 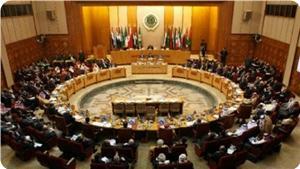 The Arab League welcomed the agreement on all contentious issues between Hamas and Fatah Movements during their meetings in Cairo last week. Mohamed Sabih, the assistant secretary-general for Palestine and occupied Arab territories at the Arab League, hailed the efforts that had been made by Egypt to bridge the rift in the Palestinian arena despite its preoccupation with its internal issues. Sabih told journalists on Saturday that the Palestinian reconciliation is the cornerstone that would lead to solving the Palestinian cause and ending the occupation. He expressed hope that both parties would respect the agreement and enable the unity government to assume its duties fully in the Gaza Strip. The Arab League official also called for permanently lifting the blockade on Gaza, describing it as inhumane and against the international law. Head of al-Mezan Center for Human Rights, Issam Younis, urged the PA chairman Mahmoud Abbas to sign the Rome Statute and take the case to the ICC without further procrastination, a demand that is being beefed up by all Palestinian resistance factions. The prosecution of Israeli war criminals is a very long journey that requires that Palestinians pool resources so as to achieve a minimum scale of fairness regarding the casualties of the Israeli aggression, Younis stated. According to Younis, the Israeli occupation has been hiding behind a political and legal shield to hush up its crimes and genocides against innocent civilians and children. For his part, Deputy Head of the Palestinian Center for Human Rights, Hamdi Shkoura, urged Abbas to apply for the Rome Statute to grant Palestine membership in the ICC. Law professor at Gaza universities Abdul Qader Jarada drew attention to the need for grasping all national and international laws so as to be able to launch a probe into Israel’s war crimes. “It is necessary that the Palestinian judicial institution takes its fair share in the impeachment of the Israeli war criminals and takes the measures set forth in the Rome Statute, including the legal and pertinent documentation of Israel’s crimes,” Jarada declared. Addressing the audience at the seminar, the rights activists highlighted the need to outline a straightforward strategy and sequential agenda to activate the legal scope of the Palestinian cause and take advantage of the legal alliances to deter future abuses and take tougher lines with instigators of terrorism and violence. The Greek Orthodox Christian Patriarchate in occupied Jerusalem issued a press release denouncing the Israeli draft law for considering Aramaic Christians as a “nationality", and said that Israel is attempting to fragment Palestinians in general and, in particular, Palestinian Christians. 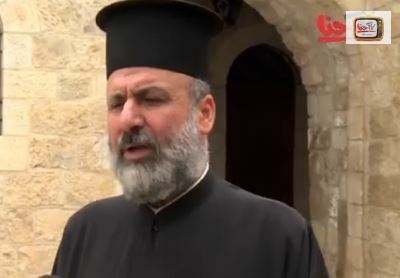 Father Issa Musleh, spokesperson of the Christian Orthodox Church in occupied Jerusalem, said the Israeli law is the true form of “divide and conquer”, adding that it is part of many Israeli attempts which have been rejected by the Church. An example of this is the draft law to recruit Arab Palestinian Christians in Israel, to join the Israeli military, as part of the attempts to create internal tension and divisions among Palestinian Christians themselves, and to create conflicts between Muslim and Christian Arabs and Palestinians. Father Issa, from the West Bank city of Beit Sahour, said Greek-Orthodox Patriarch Theophilus The Third, the patriarch of Jerusalem, Palestine and Jordan, issued strict instructions, including holding conferences and activities for church-run schools and institutions to counter those who would attempt to recruit Christians to the Israeli army. He warned that some people who carry a destructive agenda are trying to weaken the Palestinian community, fragment it and incite violence among its people.